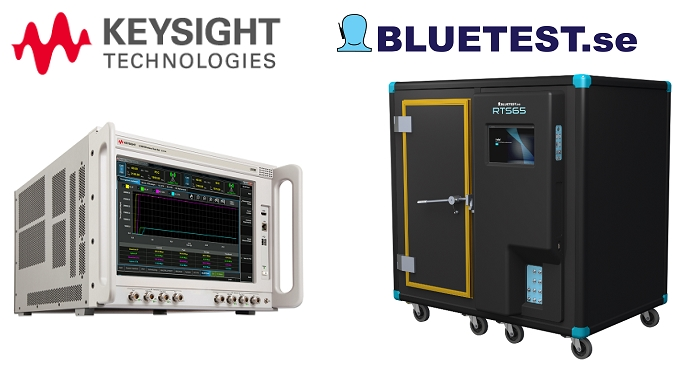 Keysight Technologies has collaborated with Bluetest for the successful creation of a narrowband IoT (NB-IoT) over-the-air (OTA) solution for use in Bluetest Reverberation Test Systems. The solution, used by one of Japan's top operator customers, demonstrates the market leading position of both companies in NB-IoT test. NB-IoT technology uses existing cellular network infrastructure to deliver excellent coverage and reliable connectivity. This approach is being adopted by major worldwide operators. The OTA (Over the air) test is critical for operators to qualify the interoperability and compliance of their NB-IoT devices. This is particularly important when a third-party enclosure is used with the device since the antenna coverage effects could be limited. Recent enhancements to the Keysight UXM wireless test set support the very latest NB-IoT specification, which supports RF measurement, power consumption and end-to-end data test - making it an ideal choice for a wide range of wireless user equipment - from IoT devices to smartphones.